The ACM Special Interest Group on the Design of Communication (ACM SIGDOC)’s 2019 Conference is an excellent opportunity to promote your organization to an international audience of researchers and practitioners. The conference will be held in Portland on October 4-6, 2019 and will feature a growing number of ties between academia and industry. We have a brand new sponsorship model that will help your organization build ties with both the SIGDOC and local communities. One major change to this year’s conference is that we are devoting much of the Friday of the conference to our brand new Industry Day. That day will feature reduced registration costs for students and practitioners and will potentially feature recruiting events with students, workshops with industry partners, and industry-focused research presentations. Oh and one more important note: These levels are flexible! If you come up with other ideas for how you want to work with SIGDOC, we will work with you to make your ideas a reality. 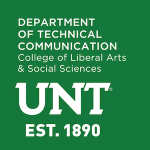 For more information or to become a sponsor, contact Jordan Frith, Associate Professor, University of North Texas, at Jordan.frith@unt.edu. Your organization’s informational and promotional materials placed in conference attendee bags and at a general information table during the conference. A sponsored snack/refreshment break that will include your logo and materials prominently displayed on drink and snack table and on conference website noting your organization as conference break sponsor. An entire conference slot devoted to informing the SIGDOC and local Portland community about your organization. You can demo products, host a workshop for attendees, or use the session to explore potential partnerships with universities. The sponsorship chair will work with your organization to meet your needs. Your logo and materials prominently displayed at door at entrance to and in the banquet or conference room, as well as on conference website noting your organization as a recruiting sponsor.